Sarah Nader- snader@shawmedia.com Catherine Lasak, 17, of Crystal Lake takes a ballet class at Chicago Ballet in Chicago Tuesday, April 5, 2016. With a modified school schedule, she's been taking the train to Chicago six days a week for 30 hours of practice for the past two years. Lasak, who dreams of becoming a professional ballerina, is one of 12 women worldwide accepted into Julliard's Dance Division for the 2016 school year. Sarah Nader- snader@shawmedia.com Catherine Lasak, 17, of Crystal Lake stretches before taking a ballet class at Chicago Ballet in Chicago Tuesday, April 5, 2016. With a modified school schedule, she's been taking the train to Chicago six days a week for 30 hours of practice for the past two years. Lasak, who dreams of becoming a professional ballerina, is one of 12 women worldwide accepted into Julliard's Dance Division for the 2016 school year. Sarah Nader- snader@shawmedia.com Catherine Lasak, 17, of Crystal Lake puts on her ballet shoes before taking a ballet class at Chicago Ballet in Chicago Tuesday, April 5, 2016. With a modified school schedule, she's been taking the train to Chicago six days a week for 30 hours of practice for the past two years. Lasak, who dreams of becoming a professional ballerina, is one of 12 women worldwide accepted into Julliard's Dance Division for the 2016 school year. Sarah Nader- snader@shawmedia.com Catherine Lasak (center), 17, of Crystal Lake takes a ballet class at Chicago Ballet in Chicago Tuesday, April 5, 2016. With a modified school schedule, she's been taking the train to Chicago six days a week for 30 hours of practice for the past two years. Lasak, who dreams of becoming a professional ballerina, is one of 12 women worldwide accepted into Julliard's Dance Division for the 2016 school year. Catherine Lasak, 17, of Crystal Lake takes a ballet class at Chicago Ballet in Chicago Tuesday, April 5, 2016. With a modified school schedule, she's been taking the train to Chicago six days a week for 30 hours of practice for the past two years. 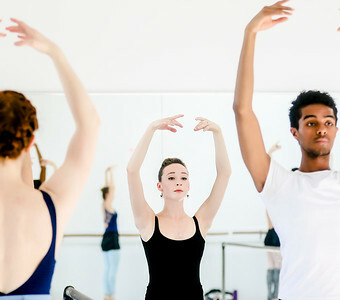 Lasak, who dreams of becoming a professional ballerina, is one of 12 women worldwide accepted into Julliard's Dance Division for the 2016 school year.